Epic. This trip was nothing short of epic. I've never overused that word so much in my life and it is perfectly defined here. 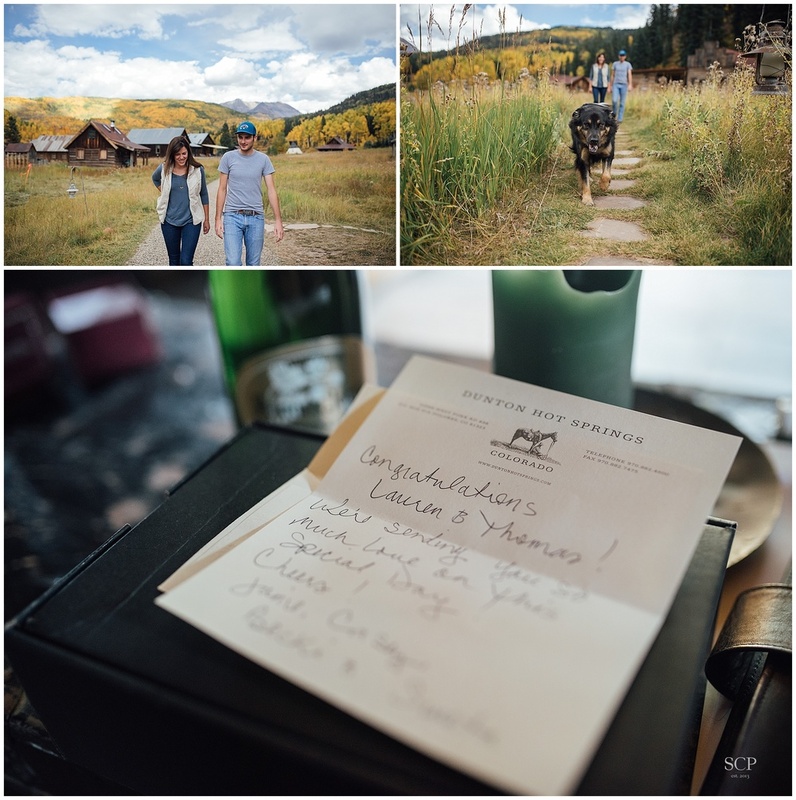 Lauren and Thomas made the exciting decision to elope and chose the perfect location: Dunton Hot Springs nestled down a gravel road in the middle of the San Juan Mountains. This luxury, all-inclusive hotel is nothing short of a mountain dream: no cell service, no cars and nothing but 360 degrees of mountains. We arrived at the perfect time of year; every tree was so golden that it looked like the mountains were on fire. On the day of their elopement, there was no timeline, no appointments and no structure. It was pure bliss. 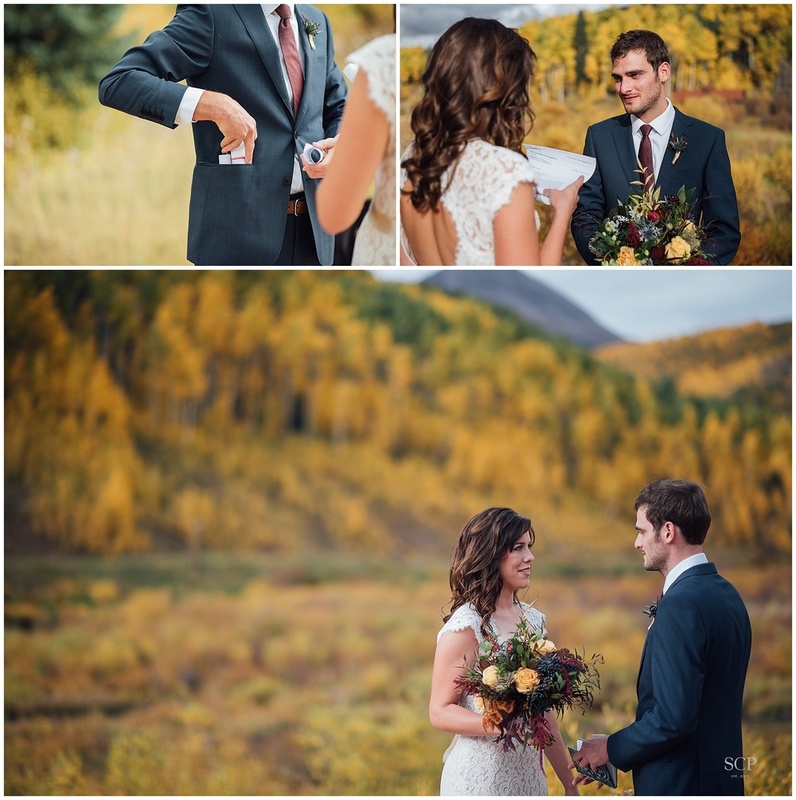 The incredible thing about eloping in Colorado, is that an officiant isn't required. You and your beloved can go anywhere, climb any mountain and say "I do". It can truly be exactly the dream you have in mind. For Lauren and Thomas, the day was just that; a dream. 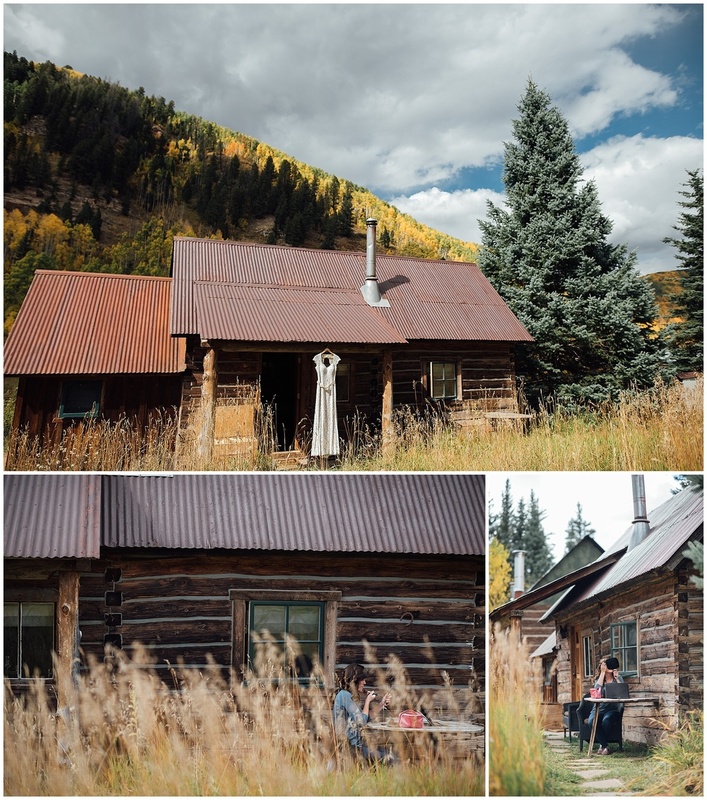 After lunch, together with Keno, their four-legged best friend, they got ready side by side in their rustic and beautiful cabin. At their ceremony, Lauren and Thomas' families wrote them notes to read aloud. It was the most emotional and beautiful day. Even though they were thousands of miles away, they could feel the love and support from their friends and family. "We spent almost two years dreaming up our perfect wedding day. We knew early on we wanted something quiet and nontraditional, but we also wanted it to feel extraordinary. Later we decided Colorado was a must because, as Kansans, we can’t get enough of the mountains. 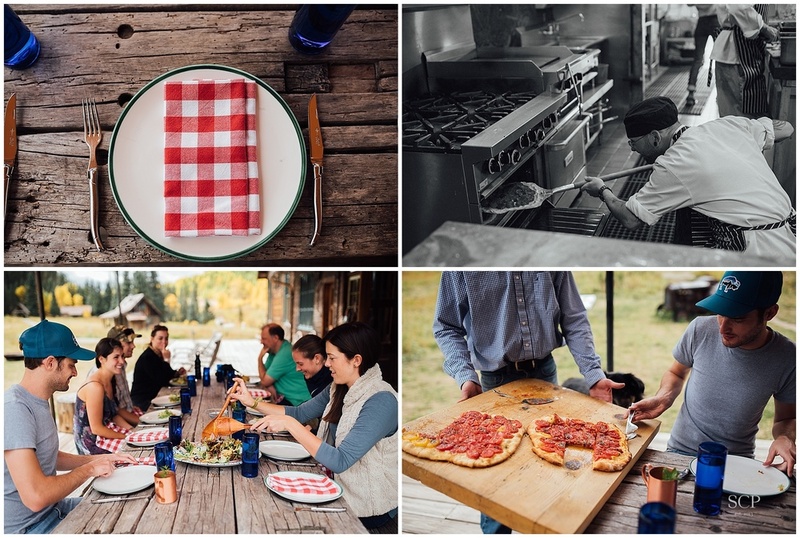 On a Friday last spring we tossed around the idea of eloping, a Saturday morning web search led us to Dunton Hot Springs, and in no time we were finally planning the wedding we had long imagined. Just a handful of friends and family were in on our big secret before we hit the road. 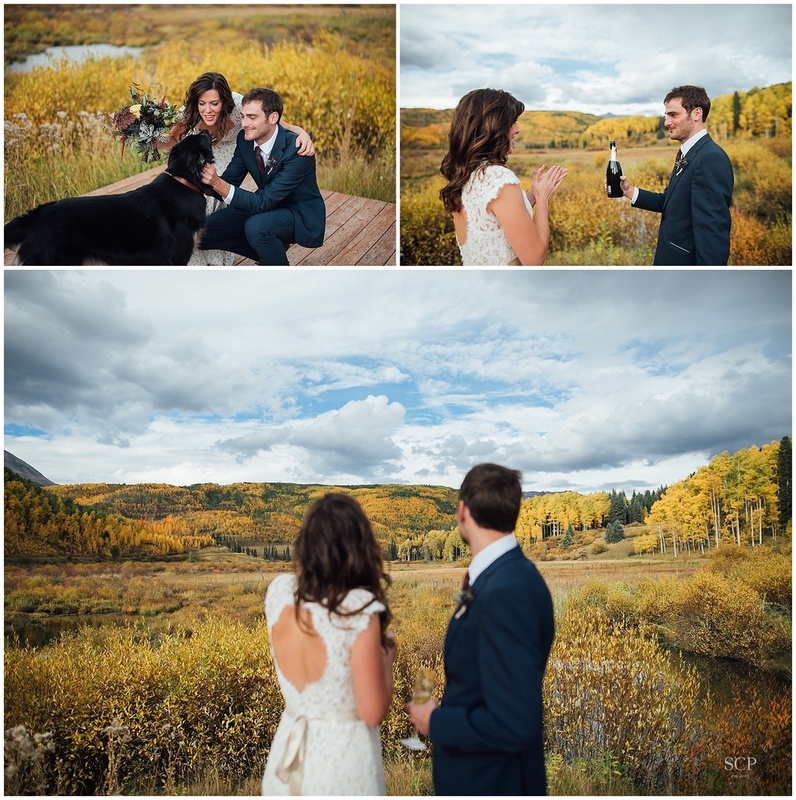 I would love absolutely nothing more than to photograph a million more elopements and weddings in incredible places. There is nowhere to far, too high or too remote. Let's plan it!